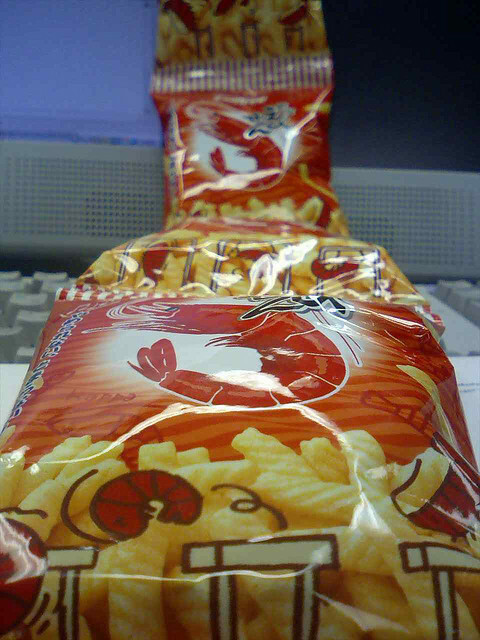 There are a wide variety of snacks ranging from traditional rice cracker to crisps, but a Japanese shrimp snacks called Kappa-ebisen is one of those well-loved snack regardless of age, gender and area of Japan. The snack manufacturer has been offering many types of flavoured versions in the past such as french salad , sour plum and spicy mayo, but now they are offering unique collaboration work with sweets; choc coated ebisen! According to an article, Kappa ebisen has been in the market since 1964, and the snack manufacturer decided to collaborate with a chocolate manufacturer, whose milk choc has been available in the market since the same year, 1964. FYI, the product is on sale for 148 yen (US$1.5) per pack in Kanto region and sales area may be expanded to other area in the future.